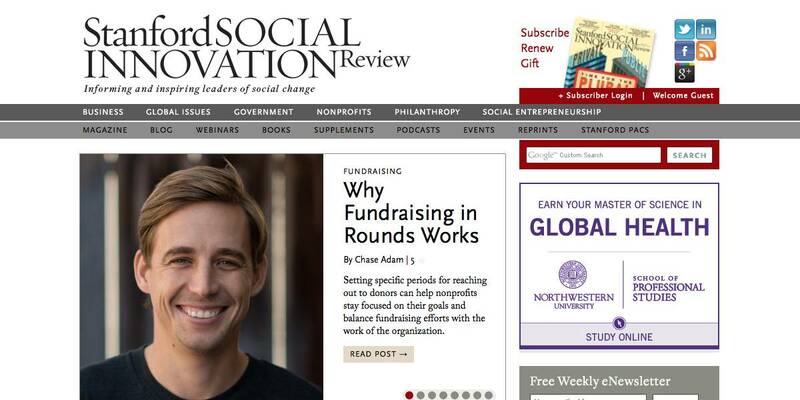 The Stanford Social Innovation Review is a quarterly magazine published by the Center for Philanthropy and Civil Society at Stanford University. Its audience consists of leaders in the fields of nonprofit management, corporate social responsibility, social entrepreneurship, and philanthropy. In 2006, Solspace integrated SSIR’s site with ExpressionEngine for content management. Since that time we have added a number of features, provided ongoing support and maintenance, and developed custom software solutions. At the time of the initial EE integration, SSIR wanted to make some website content exclusive to its subscribers. This was accomplished by directing them to a specific registration form that created an account with access. Site administrators were trained in a manual process of removing access for lapsed subscriptions. Three years later, the manual process was simply not being carried out. Administrators didn’t have time, and subscribers essentially had ongoing access to content, even when their subscriptions had lapsed. SSIR came to us hoping to solve this problem by only giving premium content to those with up-to-date subscriptions. Fortunately, SSIR’s fulfillment house has an API that allowed us to tackle this problem. Our solution was a custom ExpressionEngine module that synchronizes EE member records with records in the fulfillment house’s database. This project required creative problem solving to create the illusion of a seamless bridge between the two systems. We had to overcome differences in the way data is formatted and managed. We also needed to evaluate all user interactions with the fulfillment house (over the web and email) and SSIReview.org and make sure that those interactions were communicating consistent instructions and information. Finally, we needed to create systems for manual synchronization in individual cases where automated synchronization failed. A wizard allows users to manually synchronize their own accounts, and the module control panel allows site administrators to synchronize individual accounts from the EE control panel. Post-launch, Solspace continues to evaluate and tweak the module, interfaces, and microcopy to reduce customer service issues and improve user experience.